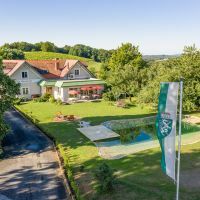 Certified location for "holiday on a farm", quiet place, large breakfast, non-smoking rooms, recreation room, rooms with balcony, TV and radio. Beautiful appartments, bikes are free. 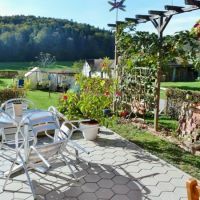 Farmyard adapted according to ecological construction principles with a view over the spa area, 3 apartments with 2-6 beds, separate kitchen, SAT-TV, perfectly equipped, lawn for sunbathing, price reduction for long stays. 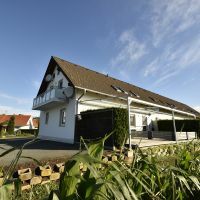 100 years old blockhouse with a big living room, feature fireplace and a view on the spa of Loipersdorf. 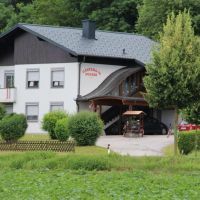 Breakfast in the bed & breakfast Herberge, two typical southern austrian inns easy to reach on foot. 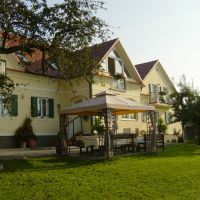 Rooms for families, situated in a quiet neighborhood at the edge of the woods, hiking trail to the spa (1km). 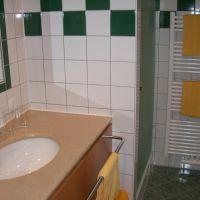 Rooms with shower/WC, hair dryer, SAT-TV, breakfast buffet, winter garden, children's palyground, bike rental, canopied parking area. A comfortable hotel close to the spa, in a quiet neighborhood. 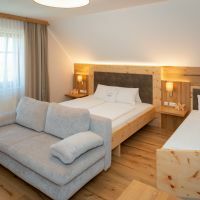 Comfortable 4 stars equipment: separate bathroom/WC, phone, radio, SAT-TV, hair dryer, safe, minibar and balcony; Enjoy the wonderful panorama view of the hill country of the eastern part of Styria. 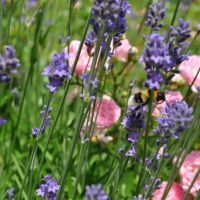 We put special attention to our big breakfast buffet with typical products from the East of Styria and our breakfast tea bar for our tea lovers. What is new in Karnerhof: private fitness room with modern equipment as well as a massage room with professional masseurs. 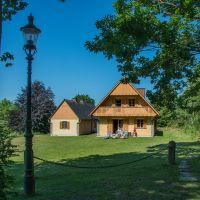 Our very inviting bungalow "Kellerstöckl" was build in 1754 and has been refurbished recently and carefully equipped by us. In only 6 minutes on foot you reach the spa. It is located in a quiet neighborhood at the edge of the woods, with kitchen, 2 rooms, shower/WC, TV, radio. The somewhat different and particular, very well-priced and most comfortable of all Garni Hotels. The hotel to cuddle and feel well. 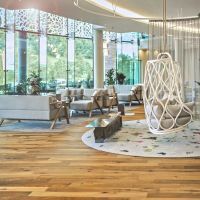 The romatic breakfast hotel for families is located in an idillic place surrounded by wods with fascinating sunsets which you can admire from your balcony and only 5 minutes by car from the spa and 15 minutes on foot. 2 inns can easily be reached on foot. Vouchers for you to relax and cuddle are available the whole year. 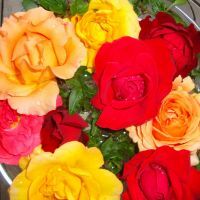 Enjoy your holidays in a quiet, comfortable atmosphere, approx. 10 minutes on foot to the spa. 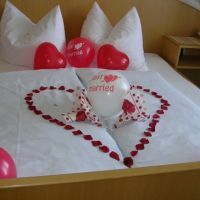 Rooms with breakfast buffet, SAT-TV, phone, radio, balcony or patio in a sunny place, children's playground. Enjoy beautiful days in our new holiday apartment in the rustic wine tavern. Bright and friendly furnishing; 65 m² - 2 separate bedrooms (double beds), eat-in kitchen, bath/WC, and satellite TV. 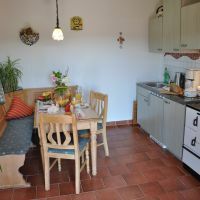 5 minutes walk from the thermal spa, children's playground, breakfast or bakery service possible. In the Hotel Garni- a small hotel with a personal touch, our guests can enjoy a 4 star comfort room in quiet and large rooms. The large and delicious breakfast buffet is a delight for bon vivants as well as health conscious people. Our own massage room is taking you on a trip of recreation: no matter if you choose a traditional massage or Ayurveda. 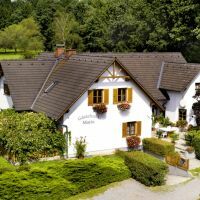 An ambience of a very special type in the middle of the idillic landscape of Loipersdorf- far from everyday life and stress! 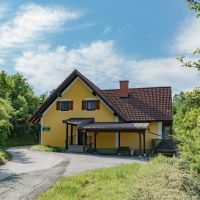 Wonderful, big comfort rooms at the edge of the woods, family access, chiild-friendly, SAT-TV, hair dryer and radio inside room, patio with seating facility, children's playground, breakfast buffet. Located in a wonderful and sunny place, comfort rooms with SAT-TV, hair dryer and radio, bathrobe for a visit to the spa, family access, breakfast room/lounge, table tennis, arbour for guests, bike rental for free, breakfast buffet. 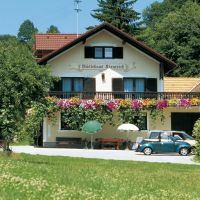 Large comfort rooms and apartments, in part with balcony or loggia, SAT-TV, quiet and sunny neighborhood, hiking trail to a typical southern austrian inn, breakfast buffet with our own organic products, family-friendly. Family-friendly guesthouse, quiet neighborhood, tasty breakfast at the buffet, non smoking house, lounge, rooms with balcony, TV, radio. Wonderful apartments, bike rental for free. Birthday surprise! 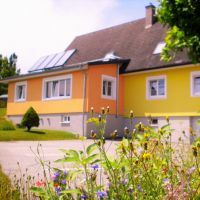 A sunny and quiet place close to Thermae Loipersdorf Spa (900 m), idyllically situated between orchards and forests. 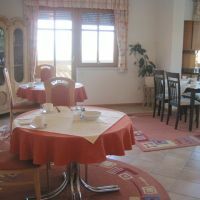 Light and friendly holiday apartment of approx. 50m², two separate bed rooms, kitchenette, anteroom, shower/WC and balcony, satellite TV (sleeps up to 6 people). Bathrobes and bicycles for rent. Breakfast on request.